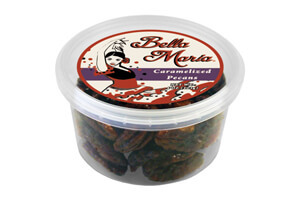 Caramelized pecans are lovely candied nuts. Because the pecan has a nice plump and meaty inside, you'll have a crunch and a softer bite. Serve these nuts in a salad, with a cheese platter or just a snack whenever you feel like it.